I love a pretty vanity and since I am a girly girl, I can truly appreciate a vanity. The better the lighting, the surrounding bulbs, the more amazing I/you will look. wink. Today Discover The Purpose of Vanity Mirrors. Not just to feel like a beautiful old Hollywood actress, but to help you see exactly what you are doing when getting primped for the day, because you have all that wonderful lighting. 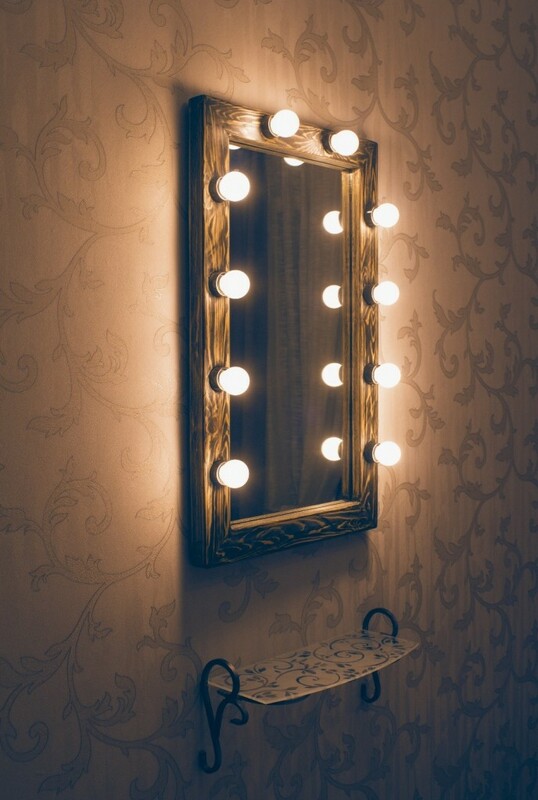 So if you’re interested in purchasing a vanity mirror, here are some things to consider. When adding a mirror to the bathroom, the best way to figure out what style suits your space the best is by following a few simple steps. Taking time to think about the reason for adding it is one way to discover how big, how decorative, and what colors the mirror should have. Another key item to remember is the size of the bathroom. Personal preference is always considered in design changes. Finally, online research helped me make my final choice. Focal point or finishing item. I start by asking myself what I want the bathroom mirror to do for me in the scope of the overall design. Do I want the mirror to be a focal point to catch the eyes of a guest that uses the room, or do I want it to blend in with the rest of the room? If it is a focal point that I want, then I know that I want my bathroom mirror to be unique like being made into a geometric shape or having an elaborate frame. If I am trying to blend the piece into the design, then I want to consider the shape of the bathtub, shower, cabinets, closets, sink, and vanity. If the bathroom is made with crisp, clean lines, then a modern decoration with a thick rectangular frame or several square pieces would work best in the space. For a softer bathroom style, I would go with an ornate piece. The next step I use to figure out what kind of a bathroom mirror to add is to measure the space and take time to look at the shape of the room. Where the entrance to the room is located can also impact the design. If a bathroom door opens straight to the mirror, then a big, bold piece is often the best choice. If the space is too small though, a large piece is not always best. A custom piece can be the best solution by creating a unique design. When the bathroom door opens so that a person must turn to see the mirror, the design often feels more comfortable if the bathroom mirror fits with the rest of the fixtures and decorations. One of the biggest things that helped me with my choice is thinking about the things that I like and do not like in my home design and decor. I like clean lines, but I prefer flowery, ornate items. I like curving features in the right places like a spiral staircase design or swooping drapes, but I prefer simple, crisp lines in my bathroom room and kitchen. Since I have a mixed style, more of the decision about the piece I choose is about the space and less about my personal style. The next thing I do to pick the perfect piece is to go online to a company like Modern Bathroom to look at pictures, and to get a visual representation in mind of what I want. I make a list of the items I think might work, and I print out pictures of them. I took the pictures and tape them to the wall, and then I imagine what each would look like in the space and the size they might end up being. I eliminate them one at a time until I reach a decision. The rest is the fun part; time to order my mirror. Does not need to be a long process, but it should take some careful thought and planning. Family and friends that come to visit will be amazed at how a simple change can affect the entire look and feel of the bathroom. It also gives people something to talk about when they visit. 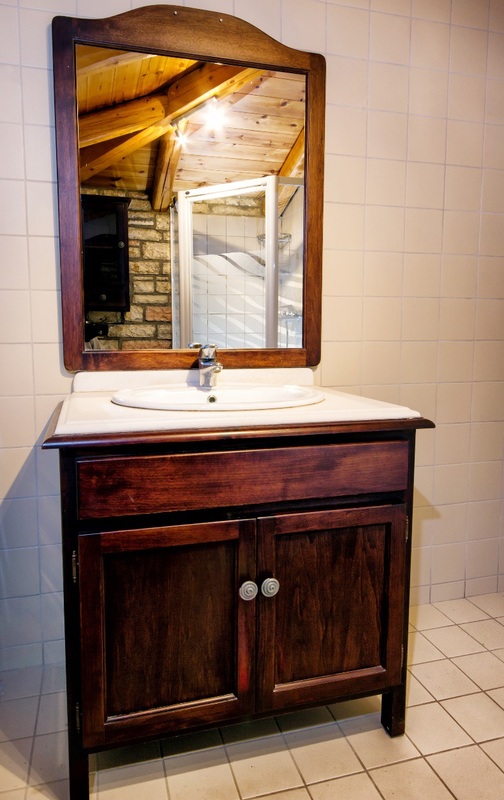 Often, a little change can make a cold, sterile bathroom design feel a little more inviting. Getting an idea of the size, shape, and reason for the piece before going to a reputable site helped minimize the time I spent making my decision. Thank you all for visiting COM today, now go get primped in front of your mirror, or vanity.